Ministry of Defense Saturday in a statment said that at least 25 Killed in ANA operations across Afghanistan. 14 insurgents were killed and a depot was destroyed in ANA airstrikes in Washir and Nahar Saraj districts of Helmand Province, according to the statement. Four insurgents killed, 7 wounded and 3 suspect arrested in ANA clearance operations in Khanqa area of Uruzgan province capital, the statement said. 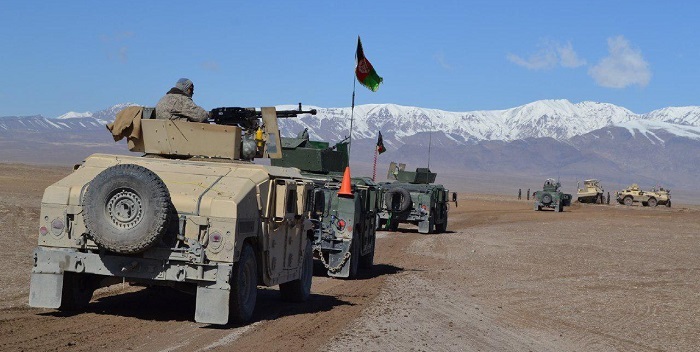 The statement added that four insurgents killed and 8 wounded in ANA response attacks in Post Rod district of Farah Province, also in a separate operation in Dehyak and Giro districts of Ghazni Province three insurgents killed and 3 wounded. 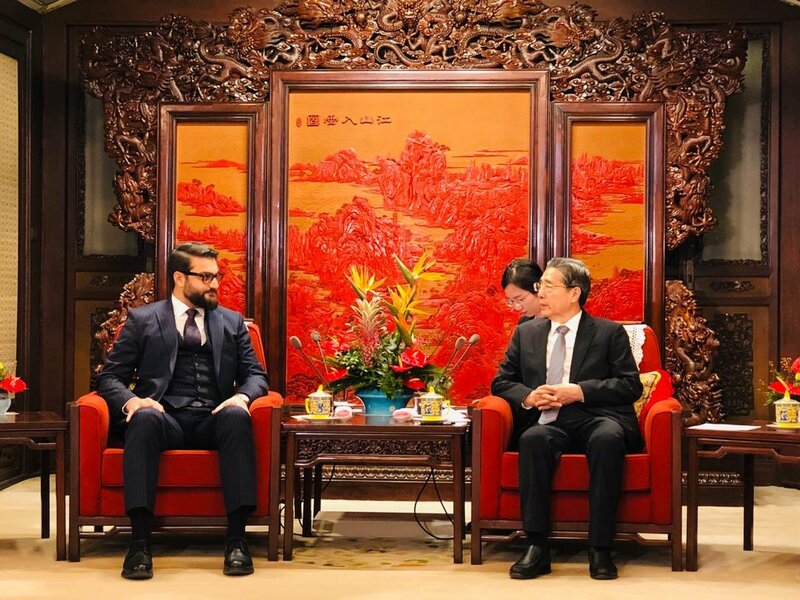 President Ghani’s National Security Advisor, Hamdullah Mohib, in his trip to China met with his Chinese counterpart Guo Shengkun and Councillor & Minister of Foreign Minister Wang Yi in separate meetings on Thursday and Friday in Beijing. “Productive meeting with my Chinese counterpart, Guo Shengkun, in Beijing. We discussed changing political dynamics in the region, threats and opportunities for the peace process in Afghanistan, and future regional cooperation on security and counter terrorism.” NSA Mohib said in a statment. Meanwhile, President Ghani’s special envoy Umer Daudzai’s, and US special Envoy Khalilzad’s regional trips on Afghan peace are also underway. 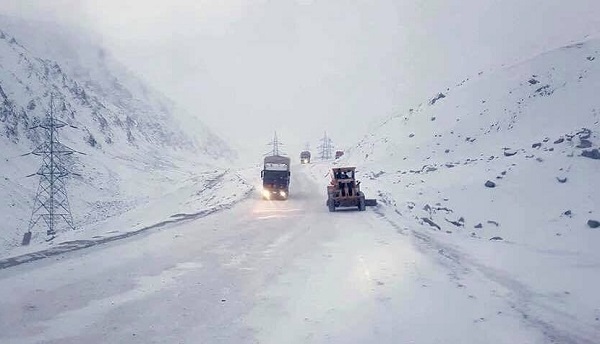 The Salang Pass has reopened to traffic after heavy snowfalls and avalanches had caused a 16-hour blockade on the southern side of the pass, local officials said Saturday. Abdul Basir Habibi, the highway maintenance commander, said that the pass was reopened at around 10:00am on Saturday. Four avalanches hit the southern Salang pass but there is no casualties, Habibi said. The snow thickness reached to southern Salang side more than a meter and the storm has calmed down, Habibi added. Habibi asked the passengers and drivers to be equipped with winter facilities while traveling through the pass. Salang pass is one of the main transit routes of Afghanistan connecting Northern provinces to capital. 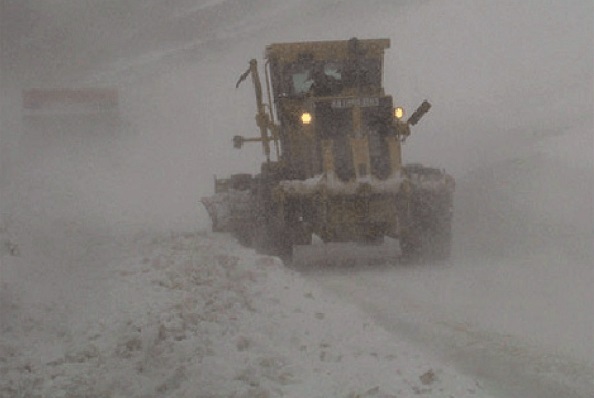 The Salang Pass was closed to traffic due to heavy snowfalls and avalanches on the southern side of the pass, local officials said Saturday. Saber Ahmadi district governor of Salang said that snowfall continues from past two days in Salangs and at the moment the snow thickness reached to southern Salang side reaches to 80cm. He urged passengers to avoid traveling through until the further notice. 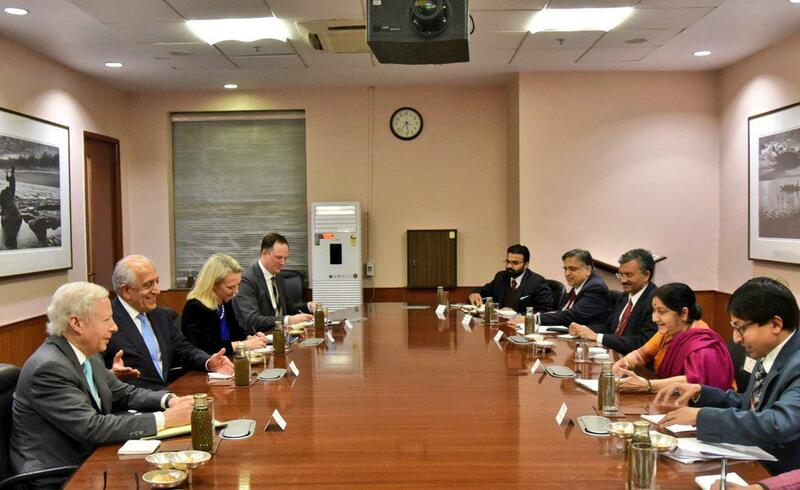 The US Special Representative for Afghanistan Reconciliation Zalmay Khalilzad met India’s External Affairs Minister Sushma Swaraj and Foreign Secretary Vijay Gokhale in New Delhi on Friday where both sides shared their perspectives on peace and reconciliation efforts in Afghanistan. “Our position on Afghanistan is very clear and consistent. We support the process which is inclusive and there has been no change in that position.” Mr Kumar reiterated. US Special Envoy Zalmay Khalilzad traveled to India as the first destination as part of his 14-day multi-nation trip on Afghan peace. He will also travel to China, Afghanistan, and Pakistan during this trip. 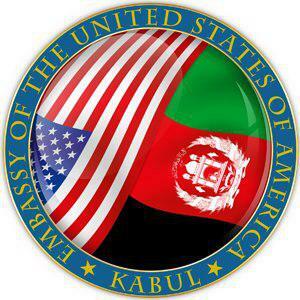 US Embassy emphasized in a statement on Friday the need for a serious elections reform. “It is up to the Afghans to elect their leaders, and they deserve elections bodies that are capable and staffed with experts who can restore public trust in the process.”, the statement added. Based on the latest decision of Independent Elections Commission the presidential elections, which was previously scheduled for April 20, has been postponed for three month due to what is called “technical preparations”. however, some political streams accused the government of putting pressure on the IEC to postpone the elections for political reasons.